The property was part of the Talaya Hill grant given in 1731 lo Manuel Trujillo. Far from the Plaza in Spanish days, it was used only for grazing and woodcutting until the first sawmill in Santa Fe was built there by the U.S. army quartermaster in 1847 to provide lumber for Fort Marcy, then under construction. The main house still shows the stone walls and huge, hand-hewn timbers of the mill on the interior, carefully preserved by the late owner, Randall Davey, an artist of international reputation. In 1852 the property was sold at public auction and was described as including one mile of river frontage, "one grist mill, one circular sawmill with extra gearing; the building for said sawmill is a good two story building, built for that purpose. Also two dwelling houses and one stable, "The highest bidder–at $500–was Colonel Ceran St. Vrain, a well-known trader and trapper from St. Louis. After some litigation over mortgages to St. Vrain by temporary operators of the mill, St. Vrain sold the mill machinery to Joseph Hersch and Isaiah Smith in 1856 to be moved to another site. In 1864 the mill and land came into the possession of Louis Gold, another local trader, who bought it from Benito Borrego and his wife, Maria del Carmen Martinez, and Jose Candelario Martinez. The Martinezes were descendants of Nicolas Ortiz III, a powerful figure of eighteenth-century Santa Fe. 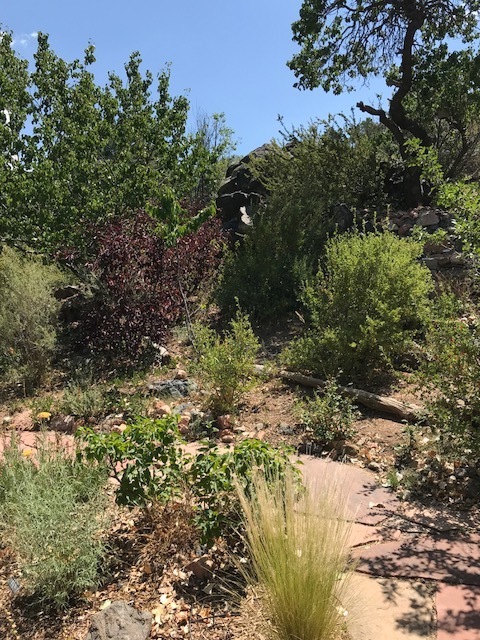 By 1892 the Davey property was owned by Captain Candelario Martinez, a native of Santa Fe who enlisted in the First Infantry, New Mexico Volunteers, at the age of eighteen. He was promoted to captain when he recaptured United States mail from Kiowa and Comanche Indians on the plains and survived a gunshot wound suffered during the melee. Martinez later became an attorney and held positions as postmaster and probate judge in Santa Fe. In 1906 a United States patent signed by President Theodore Roosevelt was issued for the property. Randall Davey bought the stone mill and other buildings in 1920, and converted the two-story central section into his home where he lived for the next forty-four years. The remainder of the house was constructed of adobe in New Mexico Territorial style and includes Davey's studio, which is maintained as it was during his lifetime. In 1983 the Randall Davey Foundation gave the property to the National Audubon Society. A registered historic site, the house and studio are open for viewing by the public at specified hours and for group tours by appointment. For details contact the Randall Davey Audubon Center.